The U.S. EPA finalized amendments to the Renewable Fuel Standard (RFS) program that include new renewable fuel production pathways for renewable diesel, renewable naphtha, and renewable electricity (used in electric vehicles) from landfill biogas. According to the EPA, “Adding these new pathways will enhance the ability of the biofuels industry to supply advanced biofuels, including cellulosic biofuels, which greatly reduce the greenhouse gas emissions (GHG) compared to the petroleum-based fuels they replace.” However, these changes don’t address some of the fundamental problems associated with the RFS, according to critics. The statutory increases in renewable fuel volumes sold each year must be revised to reflect the declining size of the overall gasoline market. Policymakers must take steps to make higher ethanol blends legal and attractive to sell. A significant education campaign is needed to build consumer demand. Others, however, believe the RFS is working, and helping to develop a new and cleaner fuel industry. Is the Renewable Fuel Standard working? What changes, if any, should be made to the RFS? While I think the federal initiatives in this context are important, state efforts to effectuate energy and climate policies through RFSs are also extremely important. Unfortunately, these initiatives are threatened by challenges by some of the same interests cited above on either federal preemption or Dormant Commerce Clause grounds. If these interests are truly interested in maximizing the salutary benefits of renewable fuels, they should permit states to serve as laboratories for policymaking. The RFS idea was great at creating the production capacity for renewable fuels. However it failed to achieve its other (albeit implicit) objective which is to create a ceiling to the price of gasoline. The RFS was needed because the cars at the time could not process multiple fuels (Flex Fuel vehicles). With today’s technology, the fuel processing is done at the cars’ computer. As such software can be installed in most modern cars that will enable them to become flexible fuel cars. 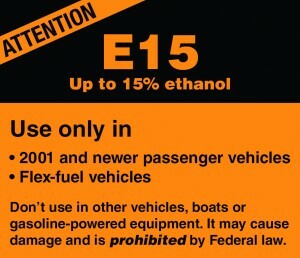 I think that instead of mandating an arbitrary increase in alcohol fuels mixtures, the regulator should focus on enabling fuel flexibility in the existing fleet and in new cars. That will not only enable more ethanol to reach the market, but also the entrance of methanol from natural gas and other sources. Together with electric cars, increased fuel efficiency, CNG/LNG and a true competition at the pump with alcohol fuels we can finally achieve the long term goal of the DoE which is to reduce the strategic importance of oil to the US economy. • A factor of 100 is the ratio between flying a jet and running. Thus, we are wasting precious time looking at the wrong, environmentally damaging solutions, instead of rethinking our transportation systems. So please try to get through the first 4-5 pages of my paper. That the EPA is still involved in actively damaging the environment in real time is surprising, given the overwhelming scientific evidence against biofuels here and in the tropics that has accumulated in the decade since I started writing on this subject. RFS is a political act that has little or no scientific basis, and will continue to hurt the U.S. in ways that are inaccessible to the thinking of most macroeconomists, for whom the environment and its services simply do not exist. Here, as in many other areas of policy (e.g. jobs versus debt), our tendency towards manic-depressive partisanship paralyzes us, and makes it hard to march forward to solutions which would be better by BOTH measures which are in play. Given the future pressures on oil supply (not all that far off, compared with the turnover time of the auto fleet), it was an excellent step forward for Bush to get RFS started — despite its gross lack of efficiency. Instead of dialing down the incentive for less dependence on gasoline, we need to modify RFS to be far more efficient n achieving that goal. The steps reported above are jusat tiny baby steps. .. Like the previous commenter, I must, with apology refer to another site, http://www.werbos.com/oil.htm, where I posted an 18 page bill written under Senator Specter in 2009; section 2 of that bill, pulled out to be a short Low Carbon Fuel Standard Bill (perhaps REPLACING RFS with LCFS giving equal progress towards independence form fossil oil) would result in far less cost to industry and yet far more progress towards energy independence, both. This is logically part of a larger win-win strategy or “Pareto optimum” for oil consumers and oil producers, recently presented at Baku: http://drpauljohn.blogspot.com/2013/06/what-would-you-advise-saudis-to-do.html . I’d like to note an important update to this discussion. Today, Senators John Barrasso (R-WY), Mark Pryor (D-AR) and Pat Toomey (R-PA) introduced “The Renewable Fuel Standard Repeal Act” (S. 1195), that would repeal the Renewable Fuel Standard (RFS) in its entirety. The press release from Senator Barrasso’s office was issued this afternoon. What do you think of this bill? How far does it have to go to create a significant impact? Yes, the Renewable Fuels Standard (RFS) is working. By the end of 2013 or early next year we will have approximately 100 million gallons per year of cellulosic ethanol production capacity in place (at POET, Abengoa, DuPont and several smaller operations). These plants probably would not have been built without the RFS. If it were not for the uncertainty about the RFS, it is likely that BP would not have cancelled its plans to build another large cellulosic ethanol plant in Florida—and we would have had even more capacity. The conversion technology for cellulosic ethanol is increasingly cost-competitive, estimated at under $2 per gallon production costs (exclusive of feedstock). Now we need to get to much larger scale, to further drive down costs. But this is currently impossible with corn ethanol occupying nearly all of the available market at 10% ethanol in gasoline. A smart solution would be to allow 30% ethanol/gasoline blends, giving plenty of room for the cellulosic ethanol industry to expand. At 30% ethanol, the superior octane of ethanol allows high compression engines to run more efficiently than engines running at lower compression ratios. A gallon of 30% ethanol/70% gasoline in a high compression engine gets the same mileage as a gallon of 100% gasoline in a low compression ratio engine. If we are going to achieve the higher mileages required by the new CAFÉ standards, we are going to have to have higher octane fuels. Either we will get that octane from higher levels of ethanol, or we will have to get it from increased aromatics (benzene, toluene and xylene), aka, increased carcinogens. Twice before we have added toxic materials to our gasoline (tetraethyl lead and MTBE) for the increased octane and have lived to regret those decisions. Hopefully we will be smarter this time. Using higher ethanol blends is a smart way to get better fuel economy while protecting our health. Dr. Patzek is incorrect in stating that the plant material is not available to produce biofuels. Approximately 1.5 billion tons of plant crop residues are available worldwide without increasing agricultural production one bit; enough to meet essentially all of the US gasoline demand. Also, growing more double crops as companions to existing grain crops would sustainably increase plant matter production without increasing crop area, as has been extensively shown. I agree with Mr. Aronoff that we need to take advantage of our supplies of natural gas. But this should only be done in the context of an explicit commitment to put a renewable fuel industry in place, using natural gas to help us transition to such a renewable future. I have tried to demonstrate in other posts that our prosperity is directly tied to the use of energy. Thus all prosperity based on fossil fuel consumption is “end dated”. That prosperity will end when the fossil fuels end. We need to get very serious about a large scale renewable fuels industry if our current prosperity is to continue beyond this century.